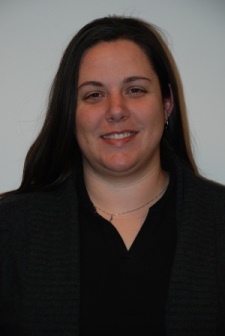 Effective February 1, 2013, IAM Reports Technology Clerk Rebecca McMullen will become Assistant Director of the IAM Membership Services Department. The great-granddaughter of a Lifetime Member of Local Lodge 174 and daughter of a Steamfitter, McMullen will assistant IAM Membership Services Director Kathy Delio in the coordinating and collecting of local lodge monthly reports, the handling of membership inquiries, preparing strike benefits, maintaining the IAM Roster and mailing list, and issuing veteran badges. McMullen began working at the IAM in February 2006 as a clerk typist in the Membership Records Department. After one year, she took on the duties of a Reports Technology Clerk and began providing support for IAM’s membership software. She also served as Shop Steward for OPEIU Local 2. McMullen graduated from the University of Maryland’s R.H. Smith School of Business in December 2005. She’s an active member of the Young Machinists and attended the IAM’s 38th Grand Lodge Convention in Toronto. McMullen succeeds former Membership Services Assistant Director Cathy Russell who retired at the end of January. Russell served the IAM for 34 years.